The country's Interior Ministry of Austria admitted they have identified 278 potential jihadists - many of whom have spent time in Iraq or Syria. 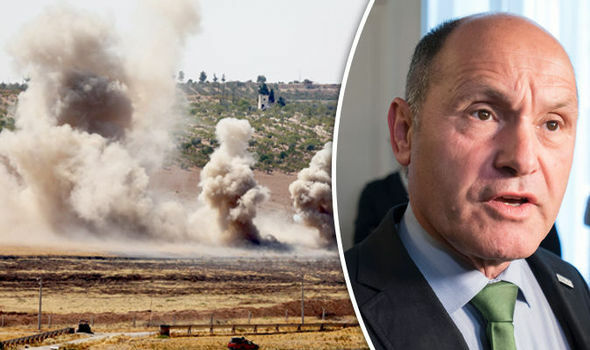 The numbers were revealed by Interior Minister Wolfgang Sobotka from the conservative Austrian People's Party after parliamentary questions were asked, according to Austrian daily 'Die Presse'. The majority of the radical Muslims are said to come from the north Caucasus region. Estimates total the number of active jihadists in Europe who have previously joined ISIS in Syria or are willing to do so at around 5,000. Of all European countries, Belgium has the highest number of jihadists with around 614 who fought abroad in Syria or Iraq or who plan to. In August, in anticipation of hundreds of thousands of refugees arriving in Austria, the country's Interior Minister revealed plans to tighten laws. Anyone who has crossed illegally he said, will be prosecuted.